I get a lot of questions regarding what exactly should new armed citizens include in their everyday carry gear. I have previously posted updates as my EDC has evolved. The point of this article, however, is not to show you what I carry, but to show you how I choose what to carry. Forgive me if I have covered any of this in my previous EDC posts. The approach I like to take to my EDC is a systems-based approach. This allows me to identify and address my needs as they change. First off, let’s touch a bit on firearms. Most professional instructors that I know and/or correspond with share a similar view on good choices for CCW guns. Your best choices are semiautomatic, striker-fired, double action only pistols in a common caliber, made by a reputable manufacturer. Think along the lines of Glock, Smith and Wesson and Springfield. There are many guns that can be a viable option, but what we are looking for is a gun that can save our lives so it must be reliable, accurate, simple to operate, and also must fit your hand. Stay away from guns that require you to manipulate a slide or frame mounted safety to fire. The size of your pistol is not nearly as much a factor as you will first think, so get something that will fit your hand and points naturally for you (meaning the sights align well with your natural point of aim). Don’t be afraid to spend some money on your pistol. It is something that you will bet your life on, so don’t cheap out. I highly recommend guns from the three makers listed above because they meet all of those requirements for most shooters. Get a high quality, commonly carried gun so you can focus on training to be at your best without adding unnecessary hurdles such as ammunition limitations, a difficult manual of arms, or limited holster availability to your troubles. Since most commonly encountered malfunctions in a pistol are related to the failure or wear of its magazines, carry a spare magazine. Make sure that your ammunition is a high quality, modern bonded jacketed hollow point. I really recommend Hornady’ Critical Duty line, Cor-Bon DPX, or Winchester PDX-1. I’m sure there are other good options but those are what I have carried and shot a lot of. Do your research. Ammo selection is critical to your system so make sure whatever you choose functions reliably in your gun and is accurate. Holster and belt selection is another area that will make or break your CCW experience. I always recommend carrying on your waistline, regardless of gender. The gun carries most naturally there, is easily concealed and accessed, and will be more likely to be accessible for your defense under duress. This means that I absolutely do not recommend any form of off body carry. However, the gun that is with you is better than the one in the safe, so just make sure you practice drawing from your chosen carry method consistently. Holsters should be made solely of kydex or a hybrid style with kydex shell and a leather backer. The latter is more comfortable but less durable in my experience than a pure kydex holster. Pure leather holsters and nylon holsters are to be avoided. Both break down over a shorter period of time, trap sweat and moisture, and don’t offer the option of adjusting their retention. Don’t neglect to get a quality gun belt. The belt needs to be made of stout enough material that when you hold the ends together at arms length the belt should stand out on its own. 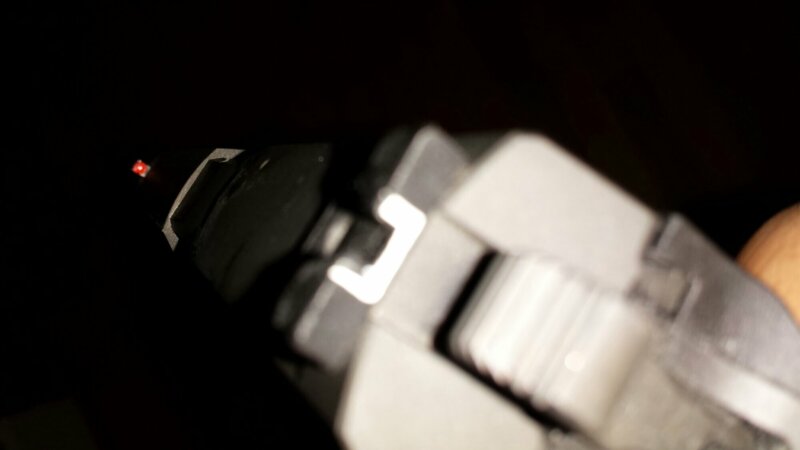 A belt that is too thin or cheaply made will sag or fail at the buckle when carrying a gun. I personally recommend a quality folding knife and a flashlight as well. You will find a knife more useful on a day to day basis than anything else you carry. A decently bright flashlight is now smaller and cheaper than ever and will offer incredible battery life. I’m willing to bet that you spend more time indoors than out of doors, and you will be surprised at how often your little light comes in handy. Let’s not forget that most defensive shooting takes place in low or failing light. Because I feel that everyone that is prepared to take a life should be able to save one, I try to carry a tourniquet as well. I prefer the SWAT-T and RATS brand. And since knowledge trumps gear every time, learn CPR and at least some basic first aid. You should be able to treat moderate injuries with whatever resources are available to you. Finally, consider good footwear. Flip flops, sandals, and Crocs simply do not afford you the mobility and protection that you will want in an emergency, whether it is a fire or a fight for your life. Mindset: Should You Carry a Gun? Before choosing to spend the time, money, and effort required to get a firearm and a concealed carry permit, one should seriously consider whether carrying a gun is right for them. Today’s post is my attempt to provide some insight into the questions that you should ask yourself before choosing to carry a firearm or other weapon in public. Most people are familiar with the red pill-blue pill reference from the movie The Matrix. Like Morpheus from that movie, I want to encourage you to think carefully and choose wisely between the red pill (adopting the lifestyle of an armed citizen, or sheepdog) and the blue pill (remaining a sheep). I have seen and heard a lot of professional instructors who unequivocally say that all able-bodied men and women should be armed. For what it’s worth I agree with them. But not all men and women are willing to take the responsibility of arming themselves. That is their choice and they are welcome to it. It’s a shame that more instructors don’t encourage people to ask these questions more often. For those of you who are considering carrying a firearm or other weapon in public, I suggest you ask yourself a few questions and answer them honestly before carrying in public. First, are you ready for the changes in mindset and lifestyle that go along with being an armed citizen? Make no mistake, going armed is a lifestyle change. You will have to change your ways of thinking, dressing, and acting. With proper training you will begin to see the world as a very different, possibly scarier place than you did before you took that red pill. You will notice danger and the potential for violence where you may not have previously. You may have to dress differently to conceal your gun and be mindful of how you move to keep it from printing through those clothes. Can you commit to a life of studying the topic of personal defense and bettering your skills? As my friend Paul Markle at StudentoftheGun.com says, “You are a beginner once, but a student for life.” You will need to train and read as much as possible and train regularly. Next you have to ask yourself if you have the temperament to carry a weapon in public. As a sheepdog, you need to keep in mind that you are bringing a gun into any altercation you may find yourself in. If you instigate or escalate a situation, the law will come heavily down on you. You cannot have pride and carry a lethal weapon. You have to be able to walk away from any disagreement before it becomes physical. Thirdly and closely related to the above question, do you have the judgment for an armed lifestyle? Can you apply the “reasonable man” standard to your actions to defend them in a court of law? You have to know when to avoid, evade, escape, negotiate and de-escalate any potentially contentious situation you may find yourself in. Are you responsible enough? Can you remember to keep control of your weapon in public? For those of you who want to carry off body, is it possible that you would ever let that carry method out of your immediate control? Could a child get their hands on your weapon without supervision? Is carrying a weapon legal where you live, work and play? If not, are you willing to accept the consequences that may arise should you get caught with it? Are you willing to face the legal battle that will result in even a clearly justified use of force? Finally, do you have the stomach for going armed? Do you think you could injure, kill, or potentially maim your attacker for life? Can you stand the thought of seeing their blood coat the ground, your hands, and your clothes? What about your own blood? Only you can answer those questions. But if you answer them in the affirmative, welcome to the team. The one thing this country needs more of is people willing to step up and take responsibility for themselves and their loved ones. Great discussion on CCW in church going on here. I for one believe it is long past time for churches to recognize the danger their little white “no weapons allowed” placards out our families in. As Christians and as Modern Minuteman we need to always be armed. Lately I have been reading Defensive Revolver Fundamentals by Grant Cunningham. I will post a full review when I finish the book, but I wanted to share an interesting concept while it is fresh in my mind. Grant has some interesting insight into the difference between precision and accuracy in the context of defensive shooting. Often we as shooters tend to incorrectly substitute the term accuracy for precision. Precision is defined as the place into which you must place your shots to be effective. 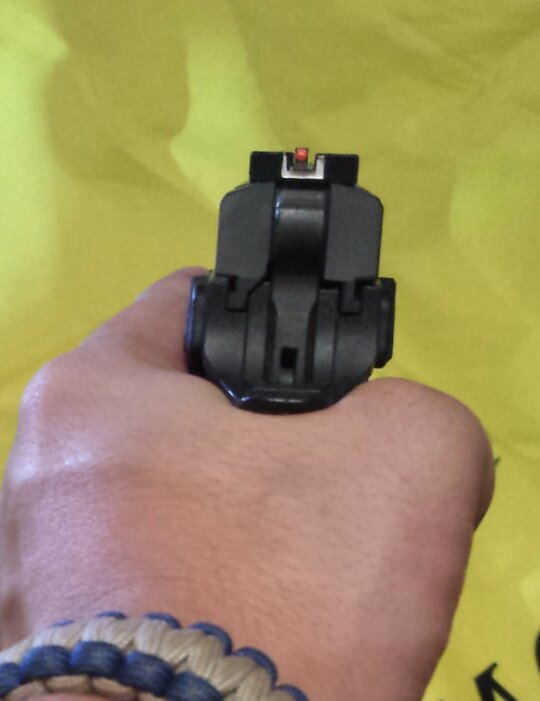 On an IDPA target this means the A Zone, which corresponds to the high center chest of an attacker. The level of precision needed is determined by the target and by the circumstances. For instance, if an attacker blades his stance in relation to you, he has now presented a situation where greater precision is required to obtain combat effective hits. Accuracy is simply an indication of whether any bullet fired hits within said target. Accuracy is a yes or no indicator. Either you hit where you needed or you didn’t. 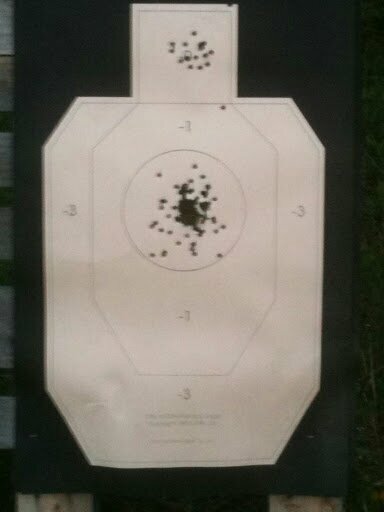 When training in a defensive context, don’t confuse shooting small groups on paper for accuracy. Any shot that hits within that A Zone can be presumed to be equally as effective as any other shot into the same zone. Shooting a small group is actually an inefficient use of our resources in a fight (namely the asset of time). Instead of shooting for small groups, increase the speed of your shooting to the maximum speed at which you can place all of your shots into the target zone presented to you. It seems all too common that I run into an Armed Citizen with a flawless carry gun. When I watch those same people shoot at the range they are always careful about how they handle the gun, frequently wiping it down with an oily rag and only placing it down on its soft padded case. What is with that? If that gun gets used in a defensive shooting, the chances are very high that it may never be seen by the owner again. Why baby a gun that gets exposed to sweat, humidity, and all manner of filth while being carried if the legal system will end up holding it as evidence during a potentially long arduous trial afterwards? I will let you in on a little secret; people with pristine guns rarely shoot as well as those whose guns show the marks of serious training. I have owned my current carry gun for almost four months as of this writing. During those four months, this CZ has been fed a variety of factory and reloaded ammo, been shot in the hear of the summer, shot in rain, and drawn from the holster more than a thousand times during both dry and live fire training sessions. I have also extensively practiced one-handed malfunction clearance with it. As you can see, the finish is a little worn already. What you can’t see are the places that have already been touched up with Aluminum Black by Birchwood Casey. I consider it a badge of honor to carry a gun that shows it has been tested and proven. It shows that I have taken myself to the edge of my abilities with that gun and perhaps have even expanded them. 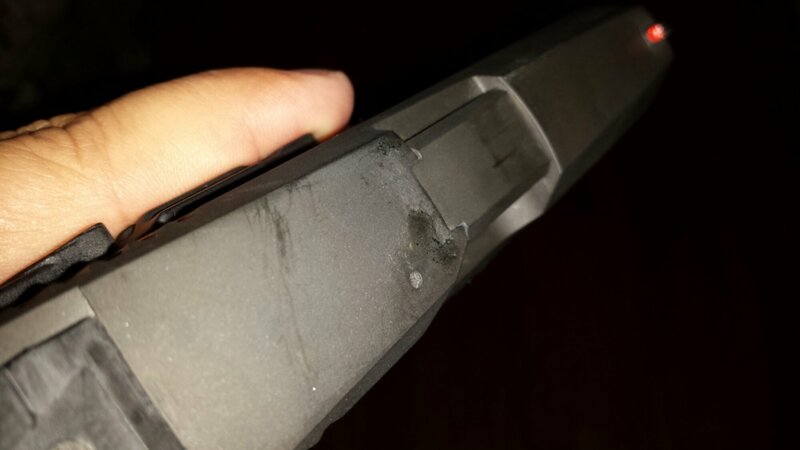 The next time you go to the range, don’t be afraid to scratch up your gun. You can’t baby it while pushing both the gun and yourself. Leave the high dollar safe queens and family heirlooms at home. Scratch up those carry guns finding out if you can run them like your life depends on it. Someday it just might. Have you noticed how prevalent throughout the gun and law enforcement communities the distinction between civilian and LEOs is? I for one am tired of it. In America, law enforcement is made up of civilians. It’s time for LEOs to stop buying into the “us versus them” dichotomy that they’re being sold. Law enforcement officers are public servants. Their role is to protect and serve the public. We as Armed Citizens need to remember that as much as the police do. We all have something in common- the same sheepdog instinct that drives us to provide for our own safety and for that of our loved ones. The only people who can make a distinction between civilians and themselves are those in the military. So from now on can we stop buying into the Civilian-LEO-Military distintion and realize we’re on the same team? After all, continuing in the us vs. them mindset only plays into the hands of those who wish to divide us. One of the things I typically do to my carry guns is modify the sights to aid with rapid acquisition of the front site. I have found that the typical white dot front sight is decent but can easily be improved. I invested in a bottle of blaze orange nail polish and found that color to really stand out against almost any background. Most of the time I black out any white on the rear sight, preferring a less busy sight picture. On my CZ I have actually found that the white outline rear sight helps in low light. In addition to painting my front sight I took a file to my rear sight. Taking my queue from Rob Pincus’ recent focus on one-handed manipulations I decided to test the CZ in the same manner. What I found was that it was possible to hook my factory sights on my holster. However, the snag free design left a lot to be desired. After some searching I found that suitable replacement sights are hard to find. 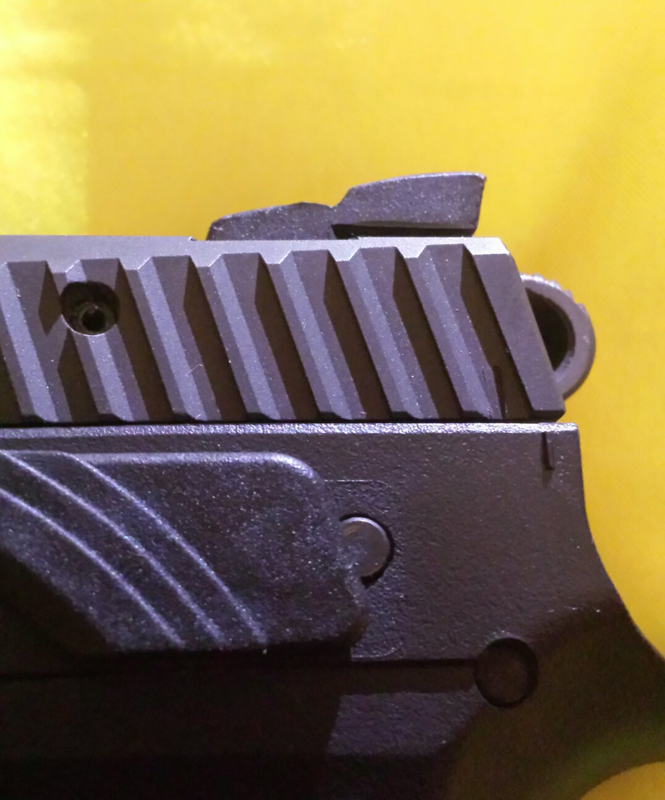 As a stopgap measure while my search continues, I decided to take a file to my CZs polymer rear sight. I cut a ledge into the front face of the sight. The results aren’t pretty but they are functional, facilitating efficient one-handed slide manipulation. If your gun’s sights don’t fit your needs, change them. If you can’t find replacement sights that fit your needs don’t be afraid to do a little modification of your own. Your carry gun has to be as efficient for you as possible. If you can’t make your sights work for you it may be time to get a different carry piece. The wife showing how it's done at one of our home defense training sessions.